Relativity: The Theory and its Philosophy provides a completely self-contained treatment of the philosophical foundations of the theory of relativity. It also surveys the most essential mathematical techniques and concepts that are indispensable to an understanding of the foundations of both the special and general theories of relativity. In short, the book includes a crash course in applied mathematics, ranging from elementary trigonometry to the classical tensor calculus. Comprised of 11 chapters, this book begins with an introduction to fundamental mathematical concepts such as sets, relations, and functions; N-tuples, vectors, and matrices; and vector algebra and calculus. The discussion then turns to the concept of relativity and elementary foundations of Newtonian mechanics, as well as the principle of special relativity and its philosophical interpretation by means of empiricism and rationalism. 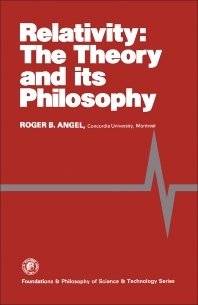 Subsequent chapters focus on the status of the doctrine of conventionalism in the theory of special relativity; the commensurability of classical and relativistic mechanics; mathematical foundations of special relativistic physics; and the classical or Newtonian theory of gravitation. The principle of general covariance and its relation to the principle of general relativity are also examined. The final chapter addresses the fundamental question as to the actual information concerning the structure of spacetime that is conveyed to us through the theory of general relativity. This monograph will be of interest to students, teachers, practitioners, and researchers in physics, mathematics, and philosophy.